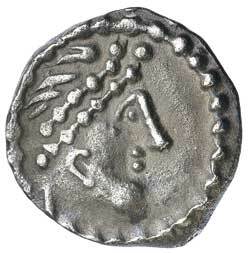 EARLY ANGLO SAXON, Primary Series, silver sceatta, (c.680-c.710), Series Bii, Type 27b, (1.13 g) obv. diademed head right within serpent circle, rev. 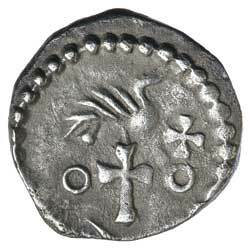 bird right on cross, annulet to to left, cross and annulet to right, (S.777, Series BI, N 127, BMC 27a, BM 99-108). Toned, good very fine, scarce. Ex Matthew Rich Collection and previously CNG Auction 340, lot 551.